A leading and preferred contractor of choice who builds at fair cost, best quality and top-notch customer service. Sought after for its reliable execution, cost effectiveness and world class technical sophistication. Our primary goal is to continue being the best at what we do, and the most respected for what we have accomplished. We are committed to provide safe, quality and efficient services, to ensure customer satisfaction, to maintain a mutually beneficial relationship with our partners in the business, to care for the environment we work in, to promote the growth of our people. We shall do so while acting in accordance with the highest standards of integrity that have always lent moral strength to the policies and principles of Top-Notch Construction. Despite our solid experience and high quality service, we still proud ourselves as the cheapest contractor around. We guarantee that, compared to all other established contractors in our area, we are the one offering the most competitive price. This is due to the following. Our organization is designed to handle multiple projects at the same time which trim down our overhead cost for each project. This also allows us to work on a lower profit margin for each project. We have our own supply store which gives us access to lower costs of materials. We create complete plans and programs before commencing the works, this reduced the number of possible errors and costly mistakes. We use detailed estimates for our proposals to ensure more accurate and lower cost. We adopt the most extensive value engineering strategies we learned form previous projects. We were able to reuse our temporary forms and facilities to a number of projects which diminished their equivalent cost for each projects. We never compromise the strength and stability of our structure. 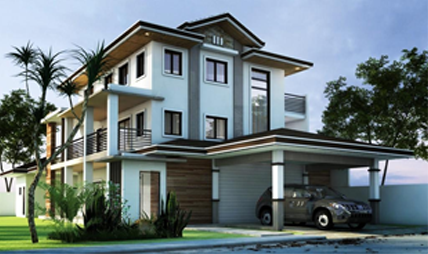 We design our structure in strict compliance with the national building and structural code of the Philippines. There are no reduced dimensions, no shortcuts, no undersized and substandard materials. We were in business for more than ten years and we have a lot of completed and ongoing projects to show you around. We learned most of the pitfalls of construction and develop methods on how to mitigate them. We don't work alone. We are comprised of a number of individuals and professionals subdivided into different departments working together under a set of systems and guidelines to ensure the success of the project. We are able to react faster and more effectively to any variations and issues encountered on our projects. This also allows us to communicate with our client constantly even if our project is moving at top speed. We are composed of no less than 40 individuals and professionals working collectively for the ensure success of each and every projects. Below is our organizational chart and the strength of each department. We have our own construction supply store and delivery vehicles. This ensures our access to high quality materials at lower cost as well as its timely delivery to the project site. Top-Notch means First-Class Quality. Our solid experience and established teams allow us to deliver projects at an exceptional level of quality. Our long presence in the industry provides us with experienced workers while our established teams provide necessary checks to ensure compliance with standards and specifications. No charges whatsoever, just send us a copy of your drawings and well send you our detailed cost estimate within 5 days. If don't have a plan yet, just fill up our FREE ESTIMATE page and we'll send you an initial estimate of your requirements immediately.